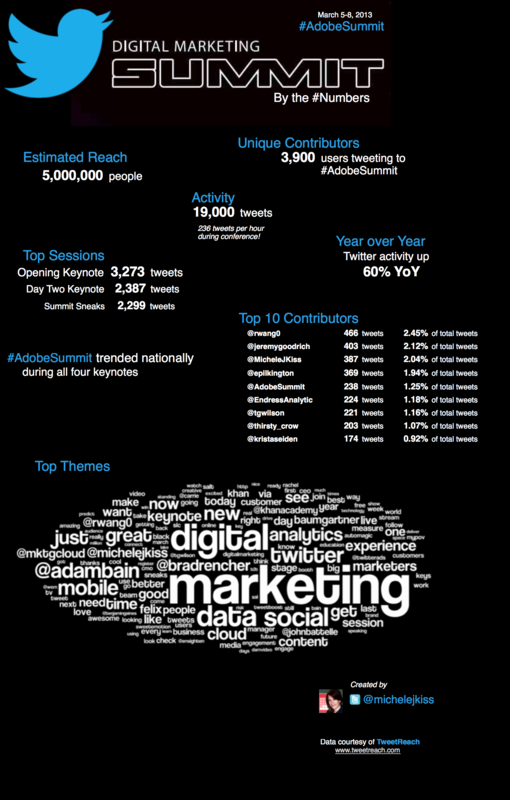 What else is in-flight wifi for, if not for reflecting on another awesome #AdobeSummit? This year, I was lucky enough to return as a “Summit Insider“, together with Tim “Gilligan” Wilson. 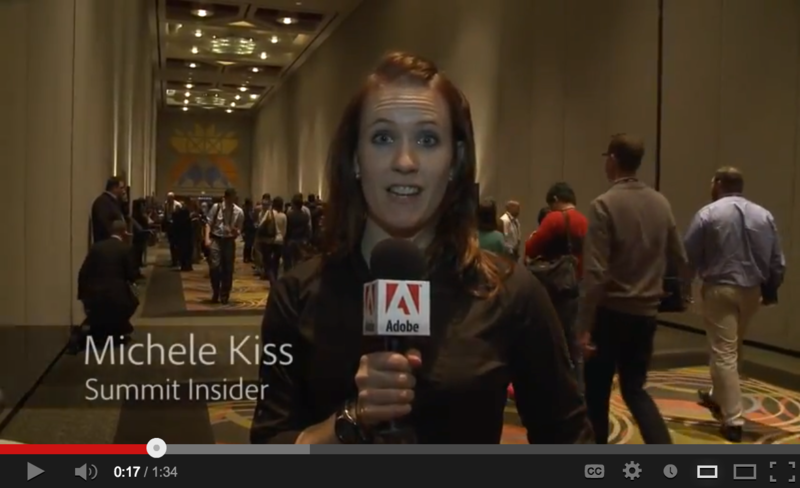 What is a Summit Insider? We’re there to give attendees (and those who can’t make it) an “inside look” at Summit through tweets, blogs and video. 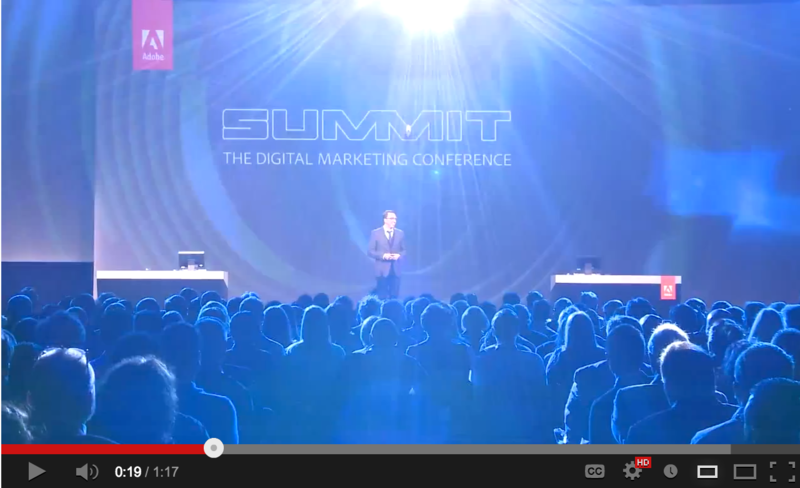 Summit is a hectic, action packed couple of days, with a ton of information flying at you. So looking back, what were the top themes for 2013? No, I’m not a petulent three year old. As Brad Rencher noted in the opening keynote, marketers are no longer being asked to do more with less, but rather, do more with more. More data, more channels, more technology (more silos – sadly.) We are trying to effectively utilise (and measure!) more channels every day: desktop, tablet, smartphone, “phablet”, even in-car digital experiences. Consumers are more impatient than ever (I think of Louis C.K. here: “Everything is amazing, and no one is happy!”) and future generations will only be more so. After all, we’re impressed by overnight shipping, while the next generation is wondering why it didn’t arrive today. Marketers and brands need to listen, predict what consumers want, pull it together and deliver … near-instantly. We not only need technology, but integrated technology. But success requires more than that – we need integrated teams and processes. Or: catch up on the keynote. One of the things I love about Summit is how Adobe brings non-marketing speakers to the event, and yet it somehow resonates with the marketing world. 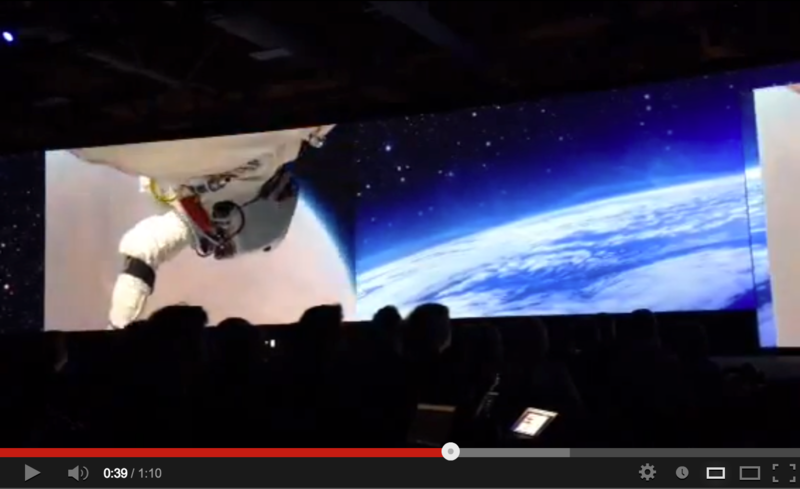 Felix Baumgartner spoke of risk taking and managing risk. However, what stuck with me were his words on teamwork. His jump required five years of preparation (with only ten minutes of oxygen!) and in the end, success came down to his team. The number of people it takes to be successful and the importance of working together are lessons critical to digital marketing. By far the most inspiring speaker of the event was Sal Khan from Khan Academy (so much so that that he got a standing ovation at the end of his keynote – first I’ve ever seen that happen at Summit, or any conference for that matter.) Not only is their mission to provide an amazing education to anyone, anywhere, but they’re actually doing it, with students in orphanages in Mongolia sending emails about how they’re learning with Khan Academy. In digital analytics, education is a cause I too feel passionate about (it’s the reason I love the Analysis Exchange), and it was great to hear not only such vision, but success. Discussions with Adam Bain of Twitter and Julie DeTraglia of NBC Universal made it clear just how fuzzy those artificial “channel” lines we put up are. The organic combination of Twitter and live television events and the switching from smartphone to tablet to desktop to television (by one consumer in one day!) just prove we need to stop thinking about channels and start thinking about people. One theme that emerged clearly for digital analytics professionals is the interplay between control and empowerment of others. Analysts may want to keep control over a testing and optimisation program, or over access to analytics, and struggle to balance that with empowering people to confidently use data – which is critical to adoption! We all know the value of using qualitative data with our digital analytics data, and site search is a frequently used source of insight. However, Nancy Koons from Vail Resorts had a great tip: Use internal search discover to find literal questions – searches that contain the words “Who” “What” “Where” “How” “Why”. You’ll get insight into long-tail searches like, “What time does the mountain open?” – results you are unlikely to have seen otherwise, since it’s rare for two people to type in the exact same question. Experiment with how you share insights. Nancy’s team tried a infographic-style poster to present a long-term analysis, and found this helped with 1) Visibility, since people had it up in their cubicles, 2) Reach, as it got shared around departments and 3) Longevity, since people kept it up for so long rather than losing it in their inbox. On top of the great keynotes, sessions and speakers, Summit is always a great time to meet new people and catch up with old friends. Thank you to Adobe for bringing us all together to geek out for a few days in SLC! I’m already looking forward to 2014’s.